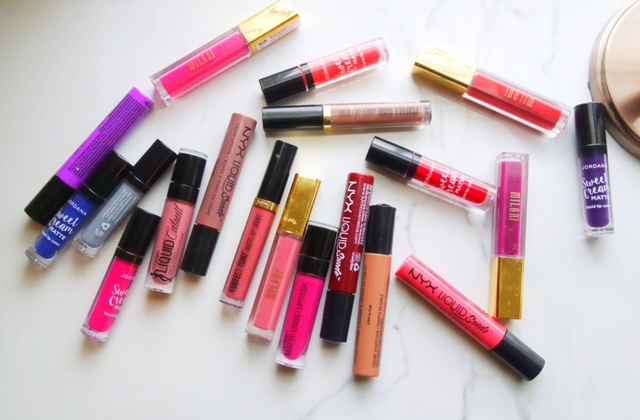 For the past few years, Liquid Lipsticks have been a major topic in the beauty community. Literally, every brand has a liquid lipstick formula. Some are better than others and some also cost more than others. 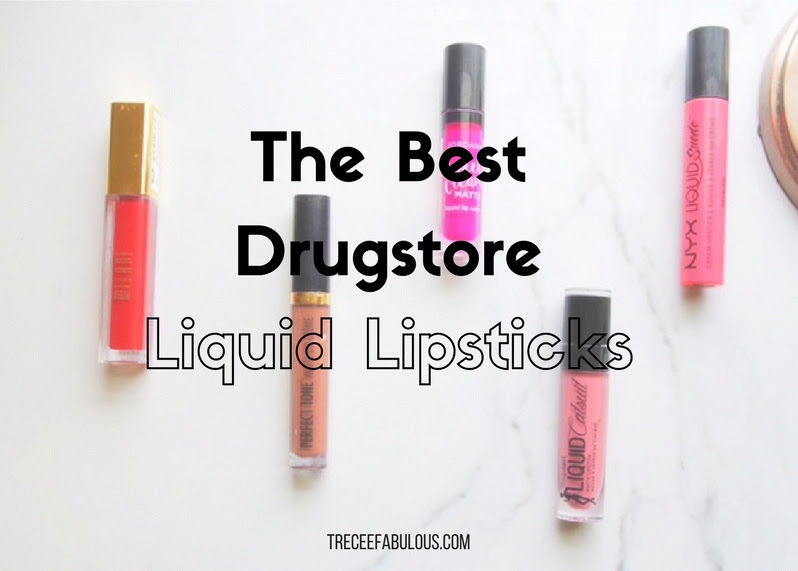 Today, I want to talk about the top Liquid Lipstick formulas at the drugstore. Since, drugstore brands have caught on to the trend, they have really been bringing it and have some amazing and unexpected formulas. 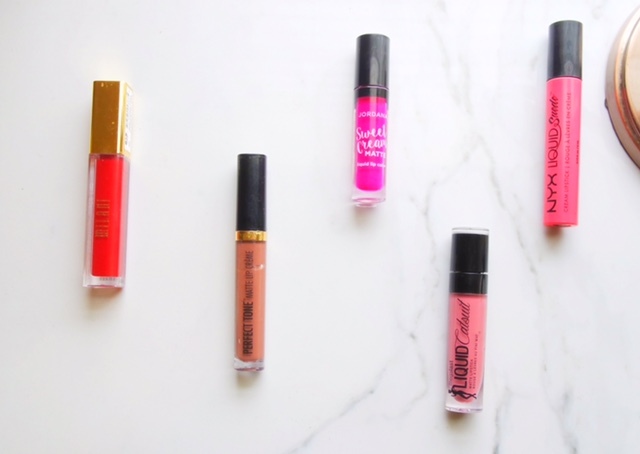 I will only be focusing on things you can actually go pick up at the drugstore, because even though there are awesome affordable brands online, sometimes we need to get our liquid lip fix immediately! Let's get into the list! Also, I love all of these formulas, but I am going to be listing them in order from good to best in terms of formula and wear time. 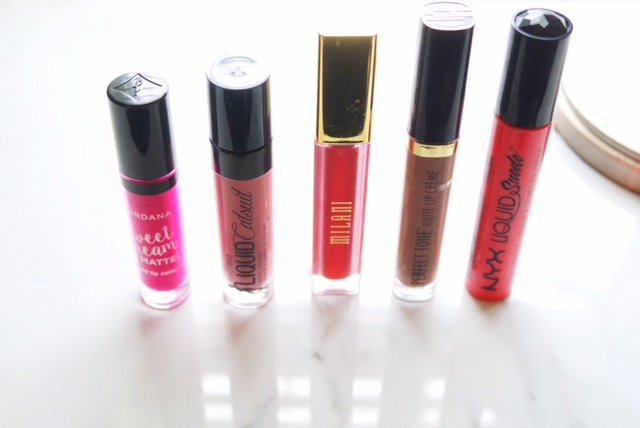 The Jordana Sweet Cream Liquid lipsticks come in a ton of gorgeous colors and smells divine. They last for about 5 hours on the lips, although if you eat something greasy, you will have to reapply this lip color. My favorite shades are Raspberry Tart and Pomegranate Pie, but these are available in 18 shades. I picked up these Lip colors on a whim and have not been disappointed. Like the it's sister company Wet n Wild, these Black Radiance Lippies offer awesome color pay off and a wide range of colors at a awesome price. These also lasts all day and don't flake or fumble at all! Nyx really did a good job with this formula. It's Ultra comfortable, which is hard to come by for liquid lipsticks and comes in every single fun color you can think of from a bright blue all the way to a black shade(28 shades in total). These don't lasts as long (about 4 hours), but I think what you lose in wear time you gain in comfort and versatility. Wet n Wild really hit the ball out of the park with this product! It combines comfort and long wear time and is a drugstore superstar. Pick one up and you will not be disappointed. My favorites are Goth Topic and Rebel Rose. My favorite drugstore Liquid Lip formula is hands down the Milani Amorematte. The colors are super bold and lasts all day. If I could own all 33 shades of this formula, life would be perfect! These dry down quickly and are smudge and transfer proof. This formula is one of those lipsticks you can put on and not worry about at all. Gorgeous and super low maintenance. As an added bonus, these also come in a metallic finish!